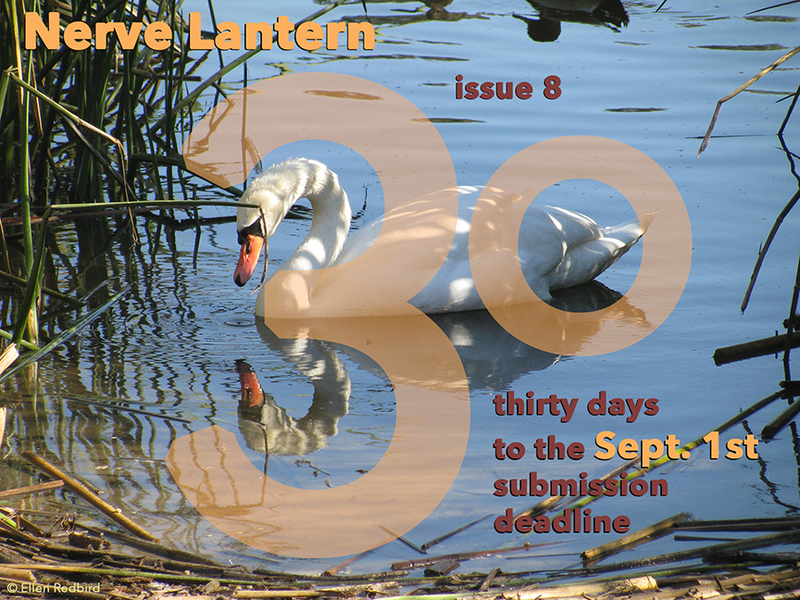 continues to accept submissions to issue 8! 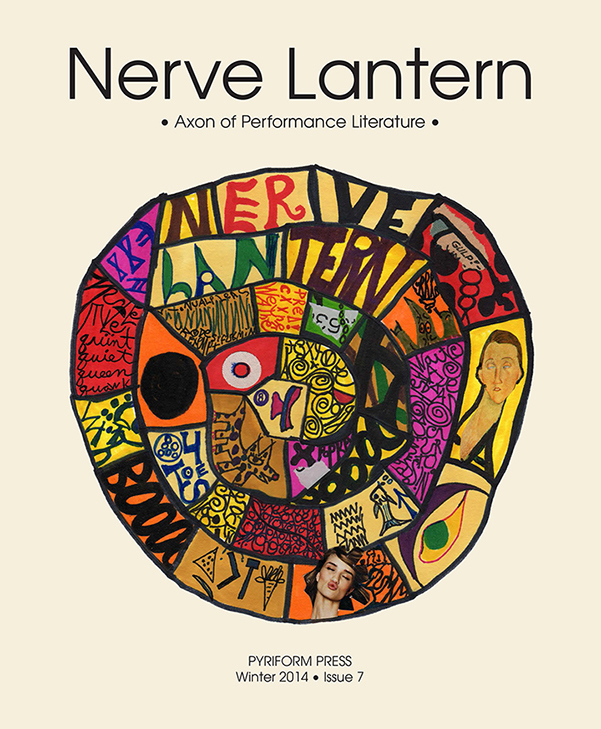 Nerve Lantern is a journal of experimental performance texts and texts about performance, supporting a range of forms, including poets’ theatre and page-as-stage, published by Pyriform Press and edited by Ellen Redbird. Nerve Lantern Show on Sat. July 19th! Copies of Nerve Lantern will be on sale for a sliding scale of $5-$7 (cash only) after the show! That’s a $3-$5 discount! 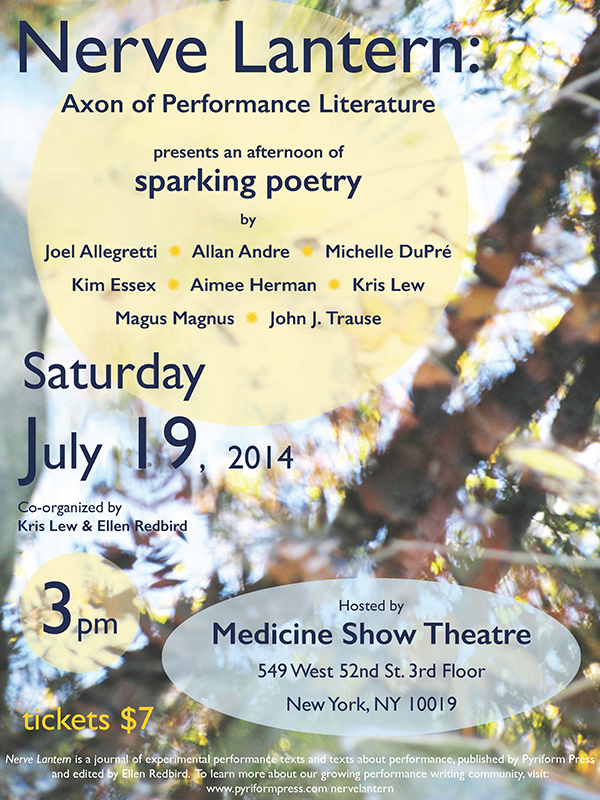 Along with Nerve Lantern, there will be books by the featured poet-performers available for purchase after the show. Update: Unfortunately, Dennis Leroy Kangalee and his performers are no longer able to appear in the show. 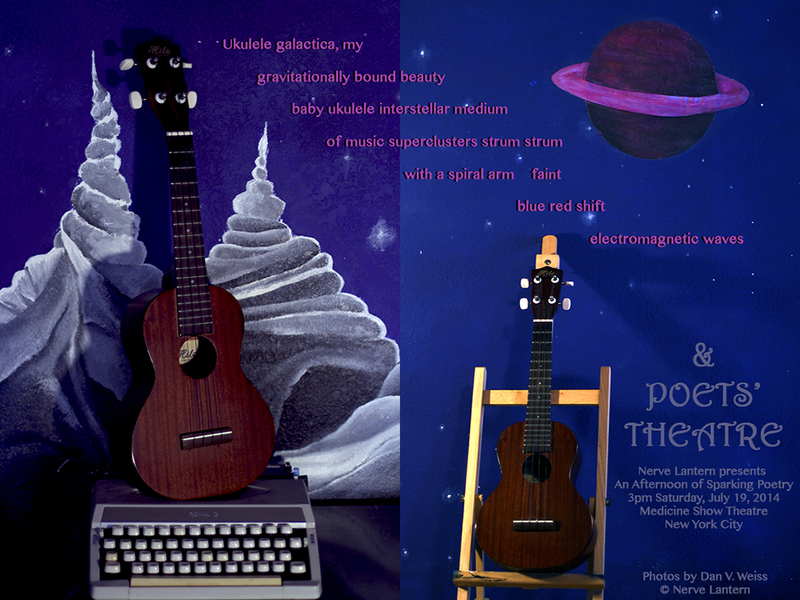 Poets’ Theatre AND a bit o’ ukulele! 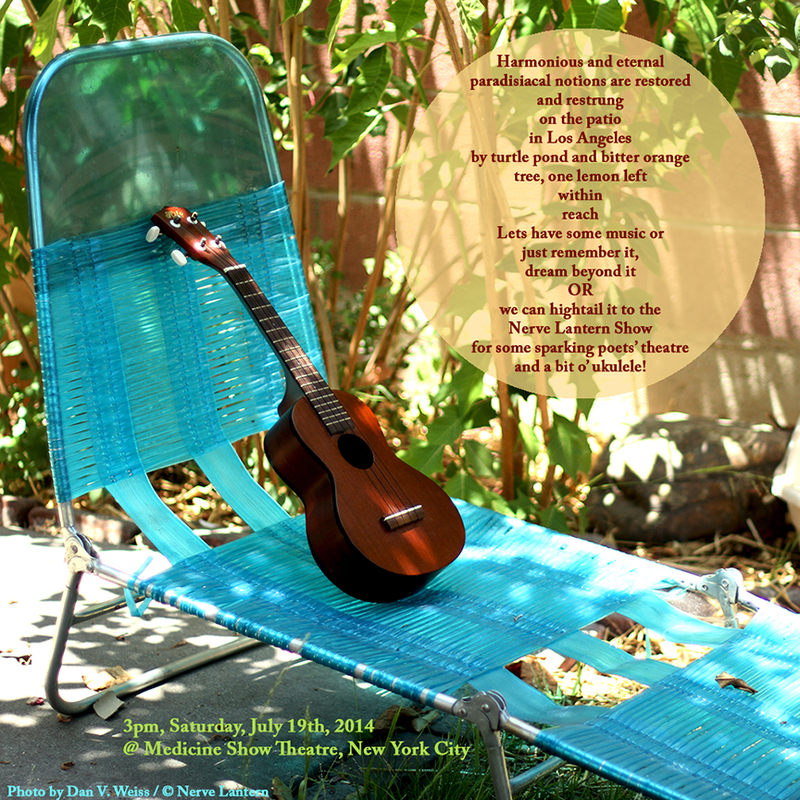 Nerve Lantern Show on July 19! 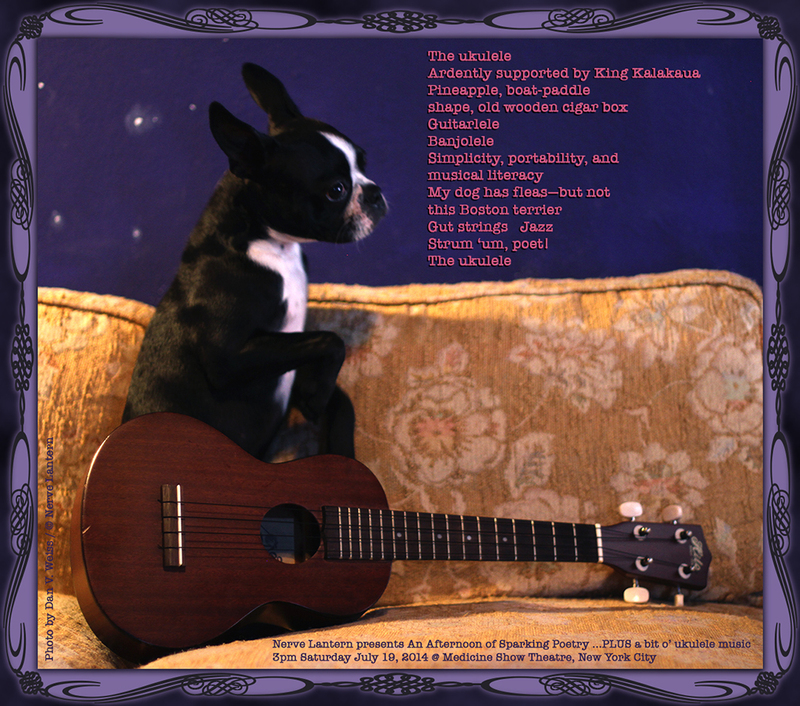 is accepting submissions for Issue 8! Polyvocality: encouraged. Verbalized mise en scene: a multidimensional catalyst. Language materiality: let it animate the page, the person. Form: take it places the way travel changes your inner shape. Look around: swans are waking up. Don’t have all the answers? : no need to shun the quest. Protest: urgent. 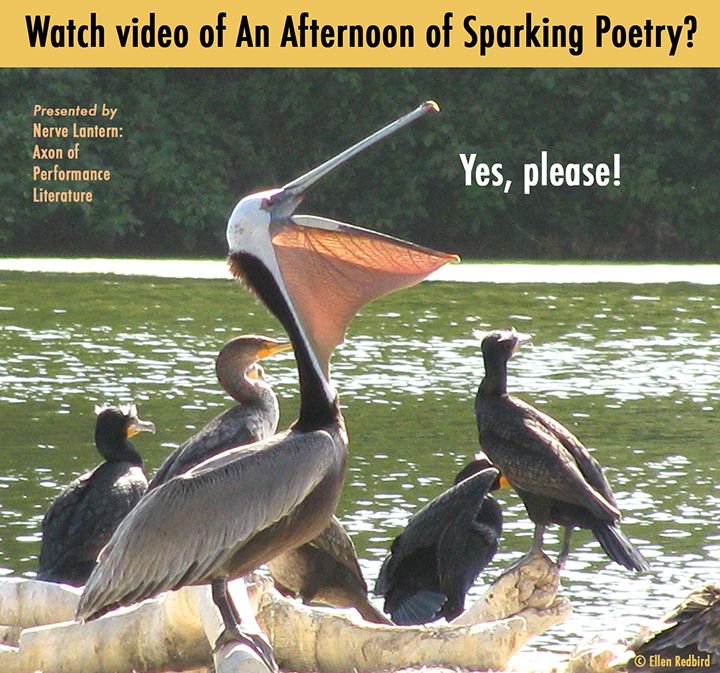 And: interviews with performance writers, critical texts about performance literature and poetics, reviews of innovative language-centered performances. Etc! 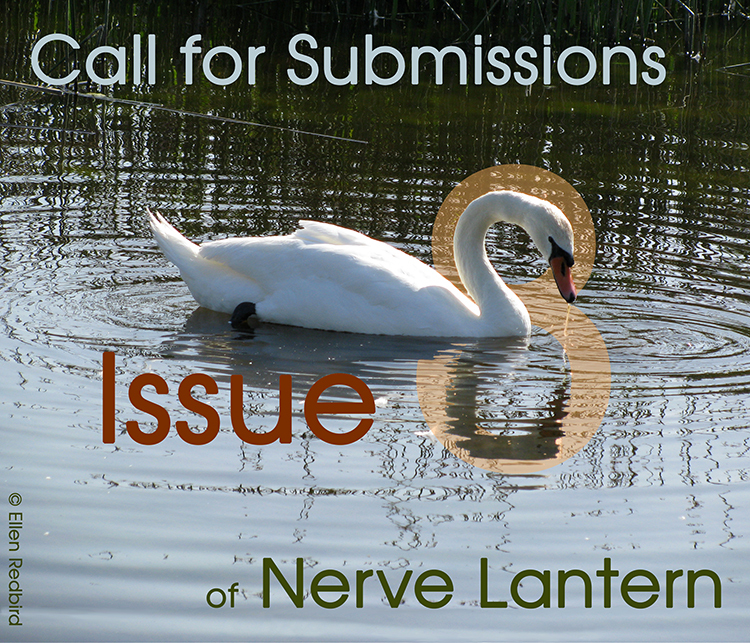 Announcing the release of Nerve Lantern issue 7! 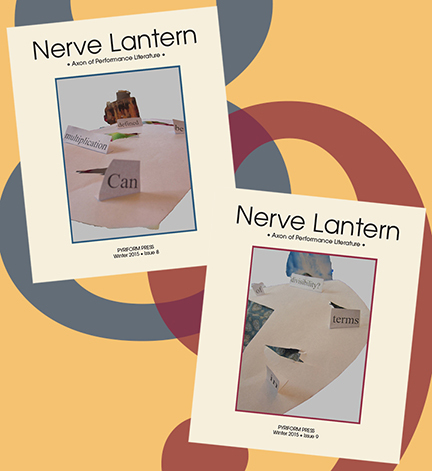 Nerve Lantern issue 7 is now available to order!